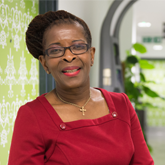 By working together we can meet the challenges ahead, says RCN President Cecilia Anim. To stay active, to volunteer or to learn something new. But this New Year, I have a special request. Let’s make 2017 the year nursing staff are heard. Our profession brings great pressures that can make it difficult to remember why we do our job. And during these moments, we feel downtrodden and isolated. But remember, we are a community of 450,000 nursing staff, each with a voice, and with the skills to transform our patients’ lives. By working together; to sign petitions, to attend branch meetings, to organise in our workplaces – I know we can meet the challenges ahead. In 2017, let’s show the world how strong we are. The RCN is calling on the Government to scrap an NHS pay cap of 1%. Find out how you can campaign on nursing pay.